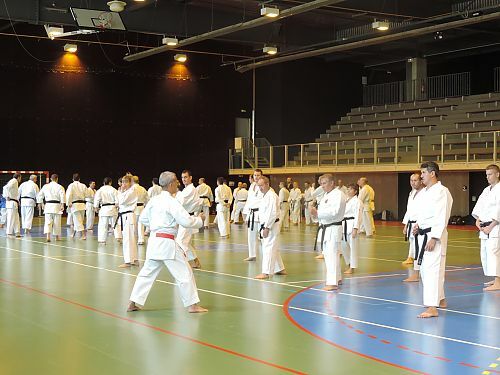 The weekend 3 and 4 June 2017 was an opportunity for all Uechi-ryu karate practitioners to be on the tatami the Palais Omnisports de Maisons-Laffitte (78). For this 12th edition of the Coupe de France style, not less than 120 technicians and 110 fighters clashed during the day on Saturday. Didier Lorho and Hervé Lesueur teachers in Carrières-sur-Seine (78) and The Rich (37) led two workshops in Belgium before nearly 25 practitioners. 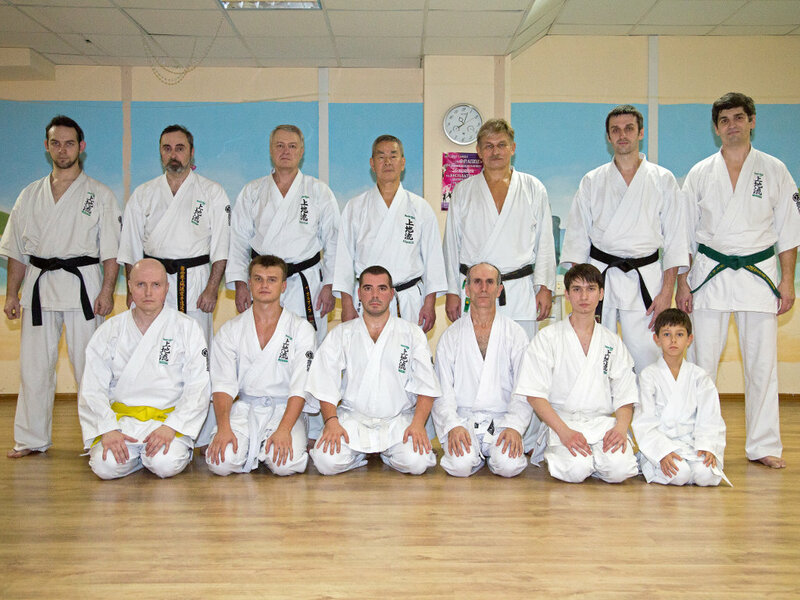 led by sensei Yukinobu Shimabukuro and assisted Didier Lorho. The 22 October to 1 November 2016, Didier Lorho professor at the club Carrières-sur-Seine (78) and president of & rsquo; Uechi-Ryu Karate-Do Association Europe (URKDE) s & rsquo; traveled to Havana. 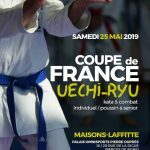 In continuation of the Coupe de France Uechi-Ryu, the French Federation of Karate and Associated Disciplines, organized on Sunday 5 June, an open course to all practitioners. 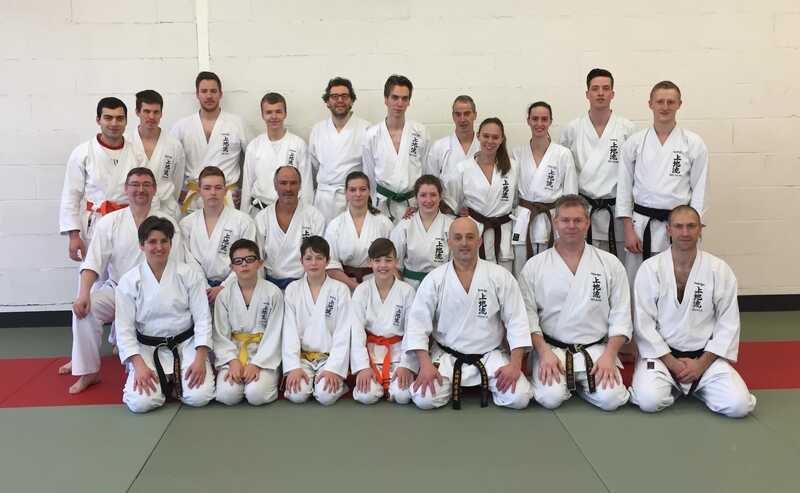 The cutting France Uechi-ryu 2015 was held 6 June at Maisons-Laffitte (78). On this occasion Haruyoshi Shimabukuro sensei was the & rsquo; d & rsquo invited; honor this competition. For the first time in the Marseille region, an internship together 4 Japanese experts was organized in the Cassis 11 to 13 July 2014. 2 Grand Masters at CESAM karate THE RICH ! 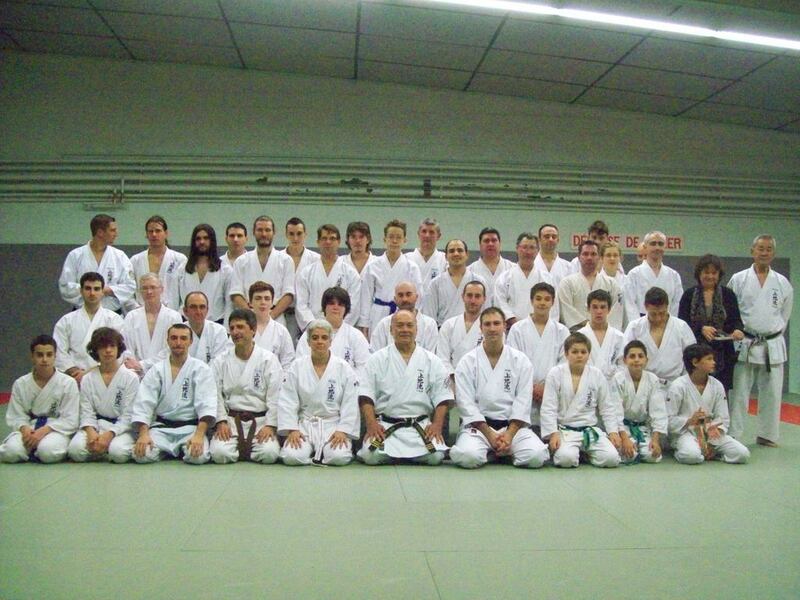 Saturday 16 and Sunday 17 November 2013, held a large training karate style Uechi Okinawa. 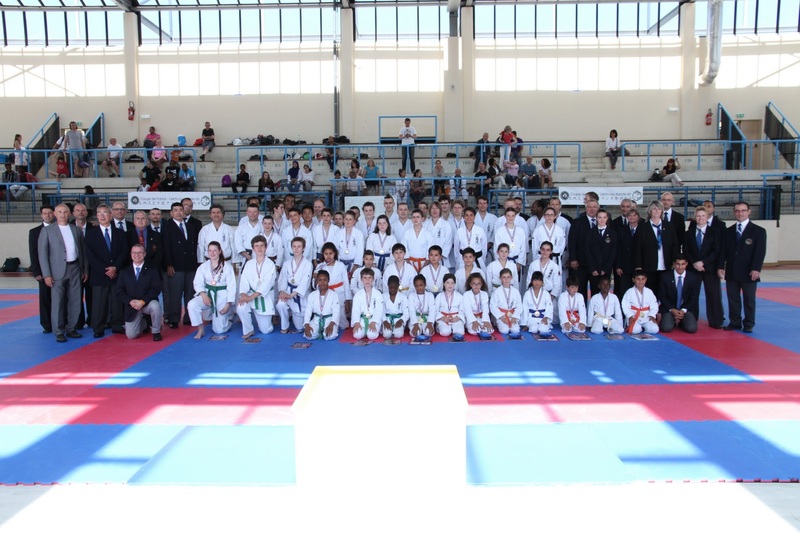 This course co-organized by the clubs Karate Larçay and La Riche brought together over a hundred karate. 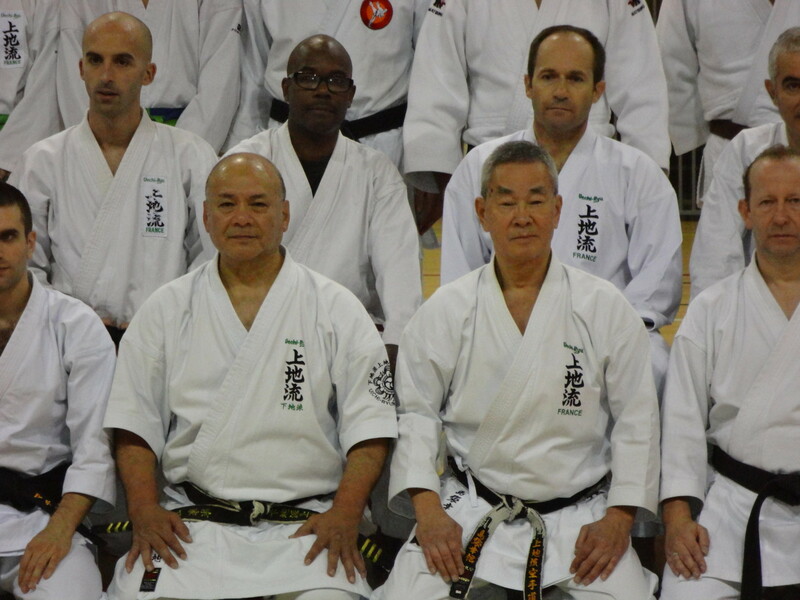 During his visit to France in November 2013, Shimoji Sensei led a training Uechi-Ryu Karate assisted Shimabukuro Sensei and Didier Lorho Montesson (78). Program : Hojo Undo, Kata Sanchin with controls, kata with practical applications and building muscle. An excellent training with Sensei Shimoji still explosive and dynamic. The 22 to 24 October 2013, Senseï Shimabukuro (9th DAN Karate and federal expert) a dirigé un stage de Karaté Uechi Ryu à Moscou. 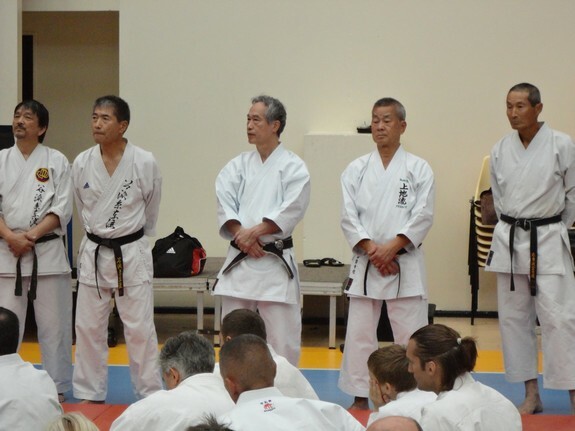 The 15 and 16 September 2012 took place on traditional karate training in Paris with Japanese experts, Shimabukuro Sensei do. The first master DVD Shimabukuro fate soon. It is already on presale. 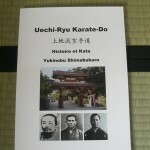 Finally released, This is the first work in France on the Uechi-ryu and French. Directed by Sensei Shimabukuro Yukinobu, 9th dan Uechi-ryu shubukan, representative of Uechi-ryu in Europe by soke Uechi-ryu. 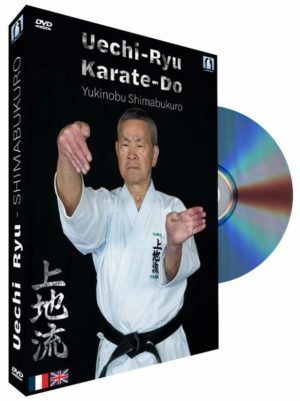 This collection gives us the history of karate, of Uechi-ryu but also the history of Shimabukuro Sensei himself, told in a very modest way with great humility. 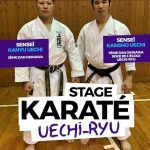 © 2019 Uechi-Ryu Karate Do Europe. All Rights Reserved.